Sorry for a long absence, was down with a nasty virus, but I’m getting back to normal at long last. 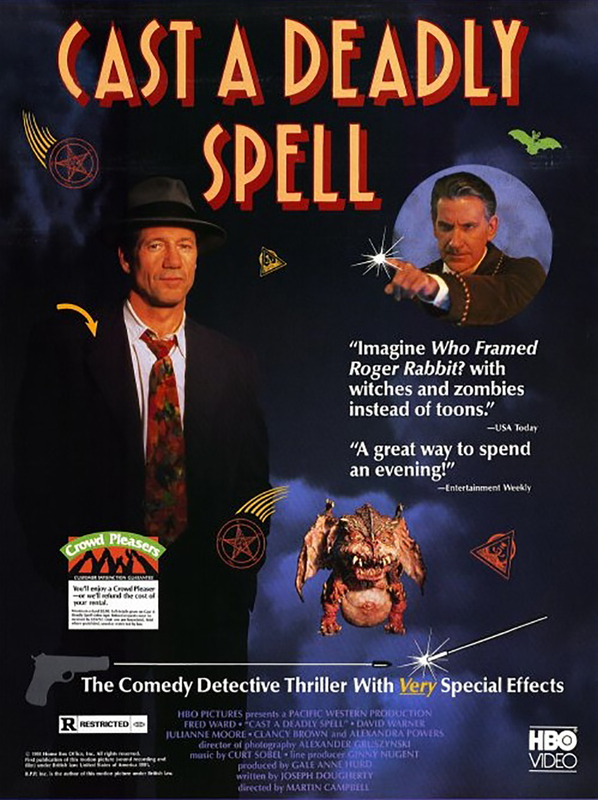 It’s 1948, magic is commonplace, and private detective Phillip Lovecraft is seemingly the only person who not interested in using magic for all manner of things. The film is as much fun as it sounds. In fact it gets an extra point just for the fact it does have fun with the core concept, whilst staying a reasonable detective story. The only cosmic horror angle here is really some stuff to do with the The Great Old Ones, but who cares? It’s an enjoyable watch. It also has a solid cast of character actors all doing a great job – Fred Ward, David Warner, Julianne Moore, Clancy Brown – play their parts as they should given the subject matter. And being a made for TV film from the early 90’s, most of the special effects are practical in nature, so while they may not be superbly flashy, they tell the story and never seem out of place because most of what you see is really there. It’s not a perfect film, but it is enjoyable, and quite watchable.